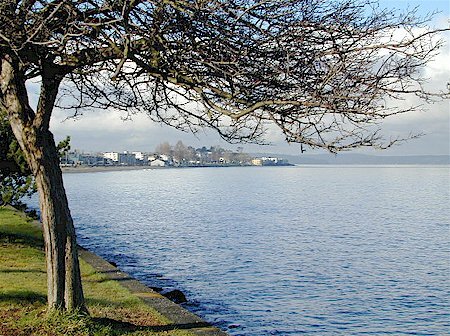 Alki Beach Park offers over 180 degree views over Puget Sound, from the Olympic Mountains to the west to the Seattle's downtown in the east. If you are looking towards the Olympic Mountains, best time for photos is in the AM. If you are looking towards downtown, best time for photos is in the PM. Stunning sunset views can be had all along the beachfront. Click on photo below for full-size image. 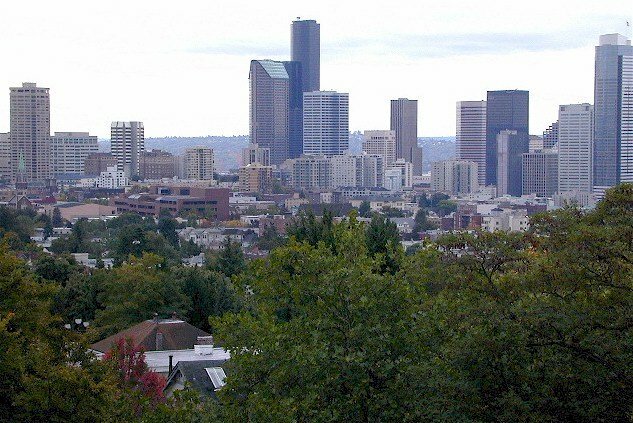 Looking northeast towards Duwamish Head and downtown in the distance (93kb). 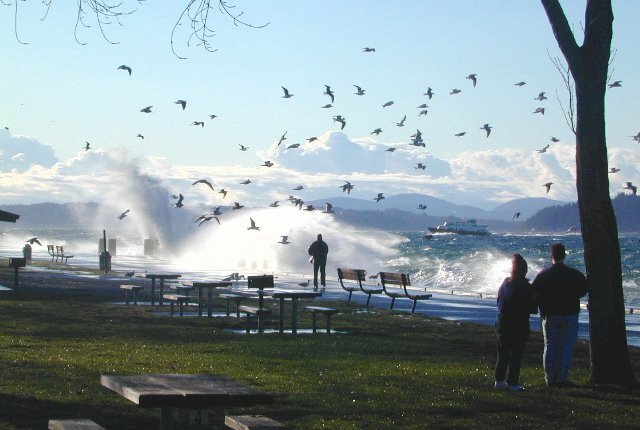 Looking northwest over the park, where a man was feeding seagulls (57kb). 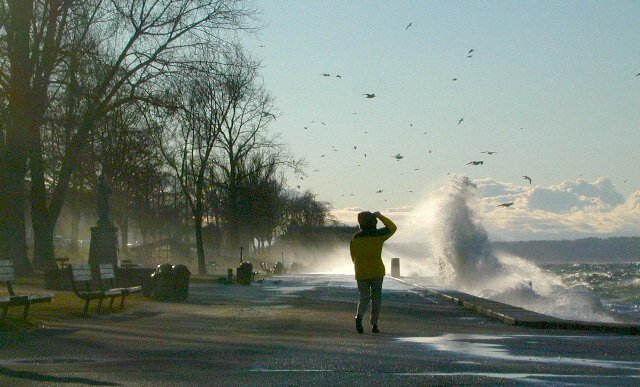 Looking west along the promenade (63kb). 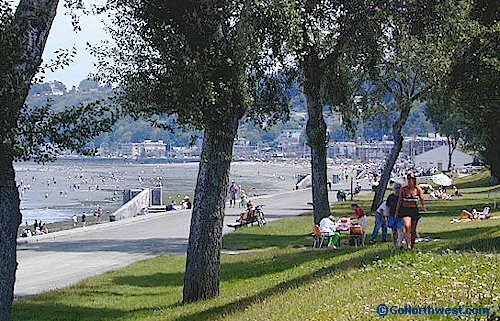 Looking northeast over the grassy area at the west end of the park (83kb). Low tide brings out the beachcombers (55kb). 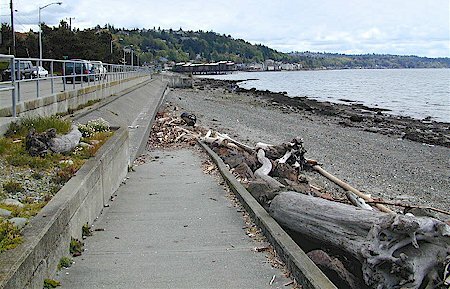 Low tide brings out the beachcombers (30kb). 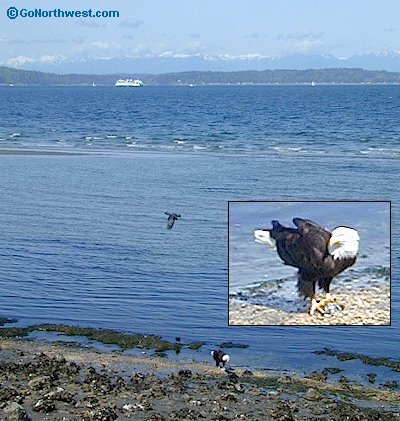 This young eagle is an occasional visitor to Alki Beach (54kb). 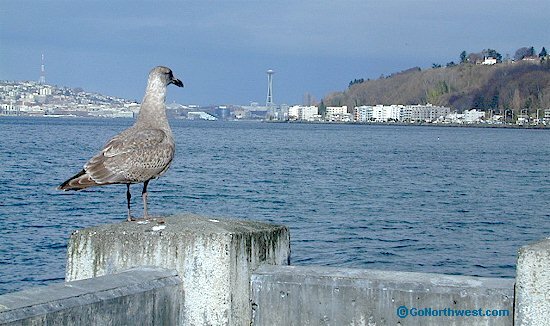 A local inhabitant contemplates the Space Needle (57kb). 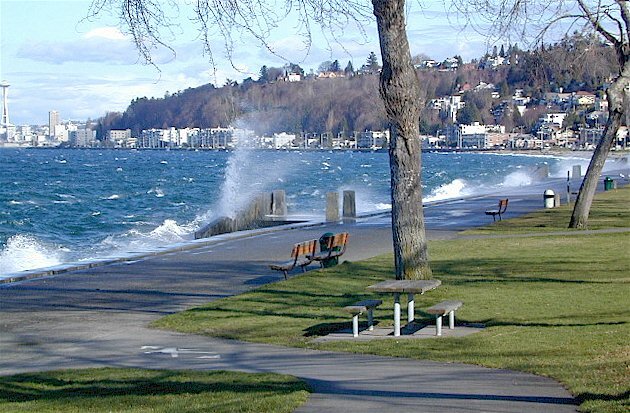 Looking southwest to Alki Point, late morning in spring (71kb). 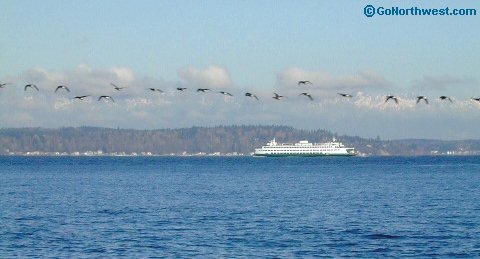 A ferry makes its way to Bainbridge Island (27kb). Looking northeast towards Duwamish Point and downtown on a summer's afternoon (60kb). 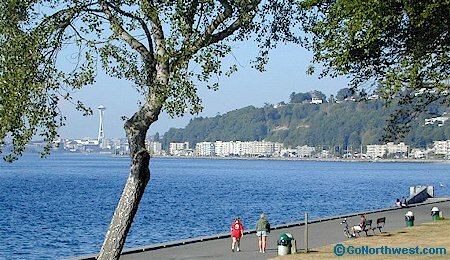 The continuation of Alki Beach Park around Alki Point to the west (55kb).